Get a quote for quick-turnaround custom prototypes in all shapes, sizes, materials and finishes. If you’re looking to order commercial-grade 3D prints or get a quote for low volume plastic or metal parts, you’re in the right place. Our shop can make pretty much anything, and even if there’s something we can’t do, we almost always know someone who can. If you need help getting your CAD model ready for print first or have other questions, visit our contact page. 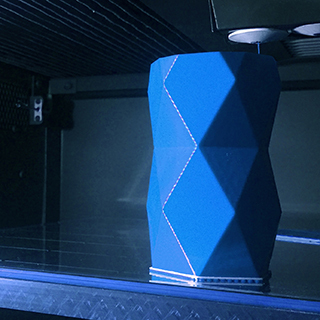 We usually turn around 3D prints within 1-3 business days depending on size and quantity, and we offer a variety of materials and print methods. If you need more than one part, or certain material properties that can’t be achieved with 3D printing, urethane casting is a good alternative. Our CNC machinists excel at intricate prototypes, low volume production, and helping customers design for optimal CNC cutting. From simple holding fixtures to complex testing equipment, we help tackle manufacturing challenges and find quick solutions. Check out our prototyping services page to read more about the materials and processes we use to create custom parts according to our customer’s needs. If you’re still in the napkin sketch phase, you might want to start with our engineering services page. Feel free to give us a call at 616.772.4560. Someone will always answer the phone during regular business hours. Or you can hit the button below to send us your info and someone will get back to you within 1 business day.